We offer professional development training covering everything from understanding the principles of application to how to use restorative language and facilitate more effective and productive professional dialogue. Request a training here (training availability contingent on our capacity). Our Whole School Approach is designed to shift the overall culture and climate of schools. Professional development, coaching and technical support aim to improve the quality and nature of relationships and fundamentally change the ways in which conflict is addressed. Thus, we strive to shift the overall culture and climate of a school from punitive to restorative, all while focusing on student wholeness. We are currently partnering with Roland Park Elementary/Middle School and Pleasant Plains Elementary School. Dialogue circles provide students and adults with ways to communicate and opportunities to develop meaningful connections with one another. Defuse conflict and foster accountability. This easy-to-implement tool helps build positive communication and culture. A community-sustaining framework that encourages conversation, connection, and community building with oneself or others. Rooted in mutual accountability and equity, with wholeness and empathy centered. A continuation of RQ, this is used to immediately address incidents and gives everyone a voice and builds problem-solving skills. Learn to share observations and feelings in ways that reduce blame and create clear expectations. Community conferencing is an effective alternative to suspension and expulsion, and is an inclusive way to address conflict between individuals, groups of students and/or staff. Community conferences are facilitated by an all-partial facilitator, and include those directly involved and affected by an incident and their family members and/or supporters. 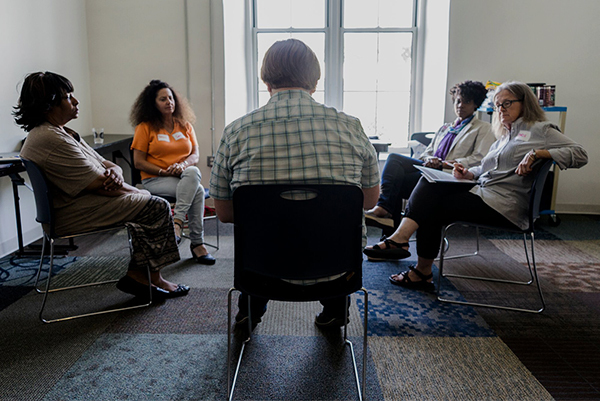 The meeting offers participants the opportunity to discuss 1) what occurred, 2) how they were affected by it, and 3) ways to repair any harm and move forward so that it does not happen again. Responsive circles provide an opportunity for a focused group of young people to 1) meet on a regular basis, 2) give voice to their feelings and concerns, 3) sort through their experiences and learn how to support each other, problem-solve together, and find ways to be a positive part of the school community. Responsive circles are especially effective with gender-specific groups of students, and with students who have similar and/or recurring issues. Circles are held weekly for a minimum of 4 weeks. The vision of restorative practices is to create a world where all people are cared about, valued, seen, and heard. 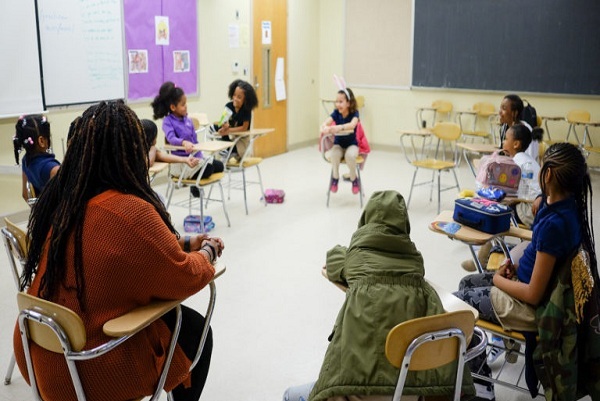 Restorative practices are evidence-based processes that represent a lasting cultural shift, offering an approach to building safe and effective environments through positive relationships, connection, and accountability. Our restorative practices work spans schools and youth programs to neighborhood community-building to workplace dialogues.